Carrot Seed oil is a great tonic for modern life. Detoxifying and restorative, it helps counter environmental and internal stress on the skin, body and mind. 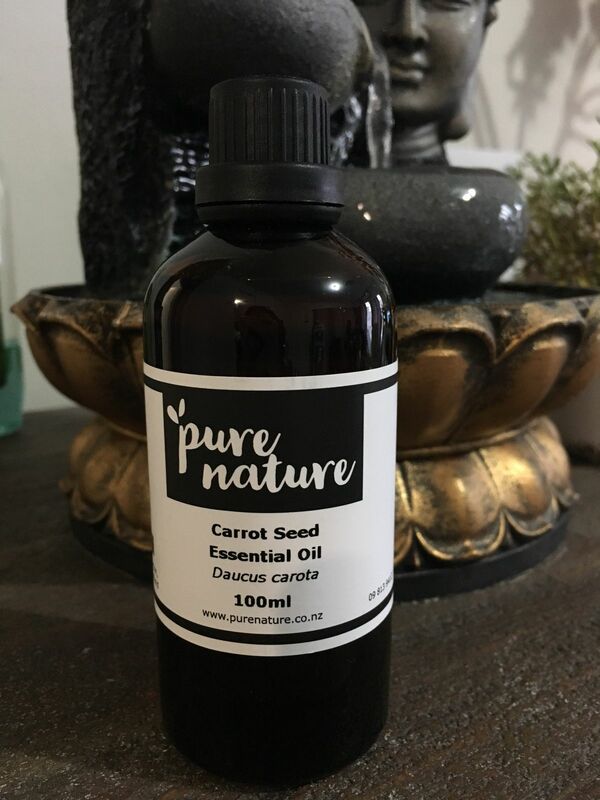 Carrot Seed oil is a wonderful skin oil to revitalise all complexions, but is particularly recommended for stressed or devitalised skin. It regenerates skin tone and elasticity - great for mature or prematurely aging skin. It also helps cleanse, detoxify and heal aggravated skin making it a good choice for acne, eczema, psoriasis, boils or itchy skin. Carrot Seed oil has long been used to support the liver and aid detoxification. Its cleansing tonic action helps clear a toxic or sluggish state and revitalise during weakness, convalescence or exhaustion. Carrot Seed oil can help revitalise the mind during times of exhaustion and clear away mental blocks or stagnation. After placing my order, Pure Nature realised they didn't have enough in stock, they were quick to contact me with some suggestions on how to rectify this, very happy with the result. Isobella D. Reviewed by Isobella D.
came as expected, and was good quality. I used carrot seed oil to make my sunscreen and it’s working great as a sun block protection.